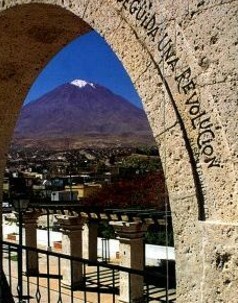 El Misti, also known as Guagua-Putina is a stratovolcano located in southern Peru near the city of Arequipa. 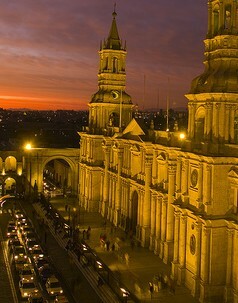 With its seasonally snow-capped, symmetrical cone, El Misti stands at 5,822 metres (19,101 ft) above sea level and lies between the mountain Chachani (6,075 m/19,931 ft) and the volcano Pichu-Pichu (5,669 m/18,599 ft). Its last eruption was in 1985. 07:00 leave in private car 4x4, our route is by Cabrerias, National Reserve of Aguada Blanca. 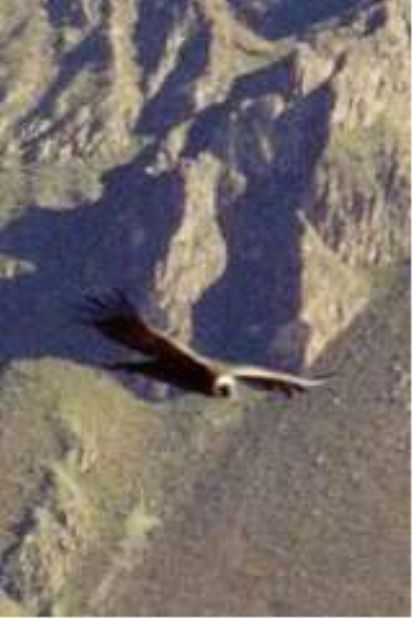 If possible we will see the wild vicuñas, between El Misti and Chachani mountains. 08:30 north base of El Misti at 3,800 meters (car base) 09:00 aprox. 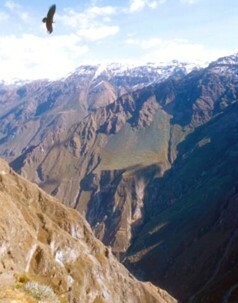 beginning the trekking up to the 4,800 meters. 13:00 stop for lunch, 14:00 restart the trek in east direction, accentuated land in volcanic ash. 04:00 breakfast and 05:00 beginning of the climbing with light equipment, trekking of 3 hours, brief rest at 5,600 meters then attack to the summit. 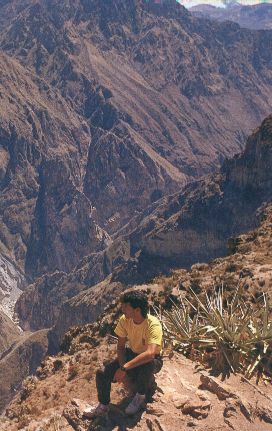 11:00 summit, view of the enormous crater and a second one smaller characterized for emanation of some gases in the bottom, land with coloration of sulfurates, walk until the point called the cross of the Misti at 5,825 meters. 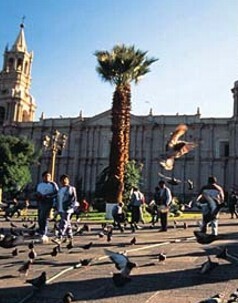 Impressive view of the city of Arequipa, and the snowy Chachani, Pichu-pichu, Coropuna and Ampato mountains. - Drinkable water (not carbonated). - Map and explanatory pamphlet.